Russian born Eduard Zilberkant is recognized as one of today’s most gifted artists and has an active career as conductor and pianist. A Yamaha performing artist, Eduard Zilberkant has been received enthusiastically by audiences and press alike throughout Europe, Canada, Asia and the United States, performing in such halls as The Academy of Music and Curtis Hall in Philadelphia; Merkin Hall in New York City; Artur Rubinstein Hall and Warsaw Philharmonic Hall in Poland; Teatro di San Carlo Opera House in Naples, Italy; Teatro Sangiorgi in Catania, Sicily; Volgograd Opera House in Russia; Sitka Music Festival and Alaska Center for the Performing Arts in Anchorage. 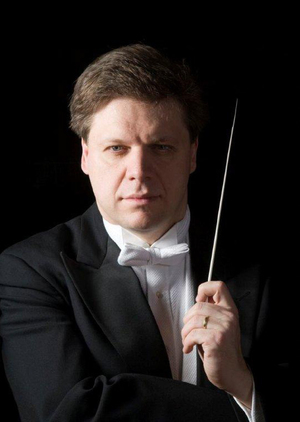 Eduard Zilberkant has been a guest artist and conductor at some of the most prestigious music festivals which include the International Keyboard Institute and Festival in New York City; the Classical Bridge International Music Festival in New York City; the Ravello Festival in Italy; the Gumi International Music Festival in South Korea; the Corfu Festival Ionian Concert Series in Greece; the Monolis Kalomiris International Music Festival in Greece; the Assisi International Festival and Orazio Frugoni Music Institute in Italy; the Baracasa Festival of Radio France in Montpellier, France; the Alaska International Piano-e-Competition, Fairbanks, Alaska; and the Bellingham Music Festival in Washington. Some of the orchestras he has guest conducted include the Czech National Symphony Orchestra in Prague and on tour to Germany; the orchestra of Pomeriggi Musicali di Milano in Italy; the Martinu Chamber Orchestra in the Czech Republic and Germany; the Orchestra of the Teatro Massimo Bellini in Catania, Sicily; the Manhattan Chamber Orchestra in New York City; the Teatro di San Carlo Orchestra in Naples, Italy; and the Prague Philharmonic in Prague and Italy. Eduard Zilberkant has been hailed as an inspirational teacher around the world. He has given masterclasses at the International Keyboard Institute and Festival in New York City, the Rubinstein Academy in Dusseldorf and the Conservatory of Music and Dance Cologne, Germany; the Puccini Conservatory in Italy; the Gumi International Music Festival in South Korea, and the Ionian Conservatory in Greece. His students have won national and international piano competitions and appear as soloists worldwide. A Fulbright Scholar in Germany, Eduard Zilberkant received a Solisten Diploma from the Freiburg Musik Hochschule. He received the Doctor of Musical Arts degree from Temple University in Philadelphia. His teachers have included Jerome Rose, Vitaly Margulis, Theodore Lettvin, Robert Spano and Robert Shaw. Presently, he is Artist in Residence and Professor of Piano at the University of Alaska Fairbanks. For the past eighteen years he has been Music Director and Conductor of the Fairbanks Symphony Orchestra and the Arctic Chamber Orchestra.